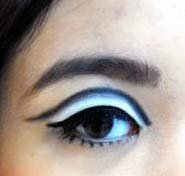 Hair and Makeup Overload: MAkeup Course update! Just posted a new update on my other blog. 1940s, 60s and 70s this week. However I have yet to post my 1940s photos because I've forgotten completely about them so I will have to show those one a bit later since I've run out of time now to post them up. Click on the link to go see them! Have a great week and an awesome weekend! Wow very cool! I loved looking at the photos on the other blog! Looks like you're learning some really cool stuff Mandy! Wow, so pretty! 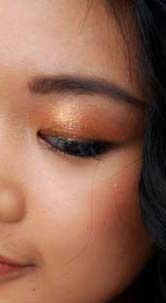 I love that bronze/ golden eye colo up top!